Having taken the title of South America’s Leading Destination for the past four years at the World Travel Awards, Ecuadorian capital Quito is on a role. Here Breaking Travel News chats to Veronica Sevilla, the newly appointed general manager of Quito Tourism, about what it is that separates the city from its competitors in South America and how her own personal ambitions for the new position. Breaking Travel News: Thank you for taking the time to speak to us today Ms Sevilla. Having taken over the position of general manager with Quito Tourism earlier this year, can you tell us a little about your ambitions for the new role? Veronica Sevilla: Thank you for this opportunity. I am very excited and passionate about my role as general manager and eager to accomplish all our goals this year. It is so important for me to continue the effort of promoting our beautiful destination around the globe, showcasing all it has to offer. My ambitions for Quito are several and we are already working diligently on all them. First, we want to solidify Quito’s position as an ideal metropolitan city for the MICE segment, demonstrating its capability and unique experiences for this audience. Expanding connectivity with key cities around the world is also of high importance as we continue to attract more travellers and events of all sizes. We also want to increase awareness of Quito’s broad and diverse tourism offering, demonstrating that it is not only the gateway to Ecuador but a bucket-list city worth spending several days in to discover its many treasures. BTN: How would you describe the mood in the hospitality sector in the destination in 2017? VS: Last year was a challenging year for the entire country following the devastating earthquake endured in the coastal area in April. Since then, we have all been working hard to restore and promote the destination and are proud of the progress so far. Quito has a lot of new developments that we are excited about including a new convention centre underway, major events coming up such as Routes, new boutique and international hotels and much more. We also have construction in progress for a modern and fast transportation system, the Quito Metro, which will transform mobility in the city. 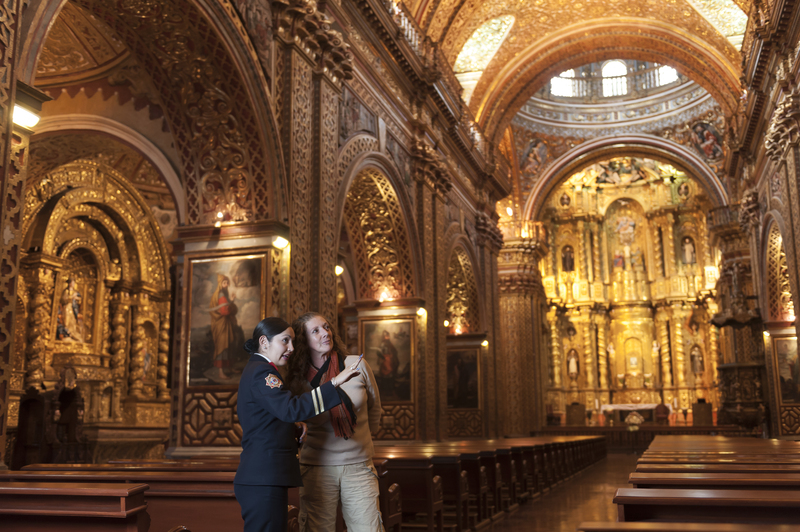 With its beautiful culture, patrimony, gastronomy and history, Quito is truly a unique and authentic destination to discover and experience. We continuously observe how the interests of travellers evolve and therefore, the city has expanded its offering to meet the interest of our visitors. 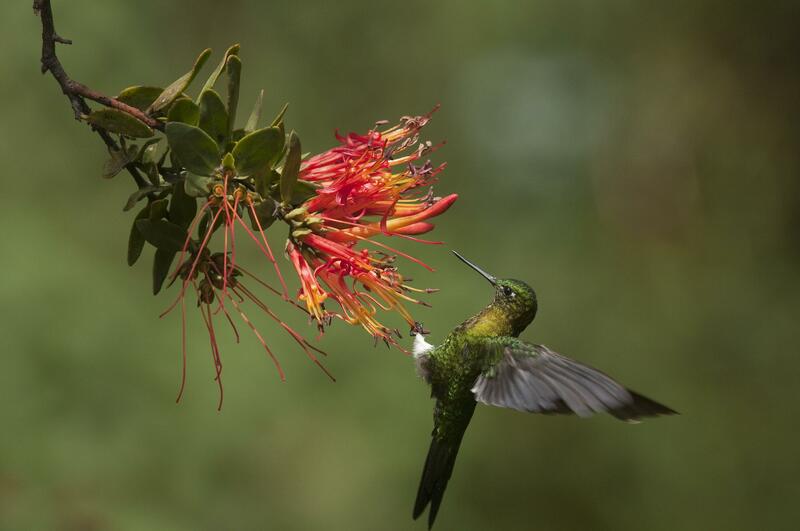 One of the objectives is to promote Quito as nature destination due to its multiple areas that cater to this such as the Cloud Forest located only 45 minutes away from the city. It’s a magical place that truly surprises those who visit. BTN: This is an exciting time for the destination, particularly from a MICE perspective, with the beginning of work on a new convention centre. How will that improve the offering of Quito? VS: Quito’s new Metropolitan Convention Centre is an ambitious and strategic project in the heart of the capital’s Bicentennial Park that will boost the city’s offering as a leading destination for meetings, incentives, conventions & exhibitions at a regional and global level. This new build is set to be completed in the second half of 2018. The new Convention Centre will offer 28,000 square feet of meetings spaces, ballrooms for private and large events, hotel and office buildings, recreational spaces, and an on-site arena. This massive project is set to become an important part of the Quito landscape and an asset for the city as it strives to become a leading destination for meetings and conventions. Quito has already been the host of world-renowned conventions such as The United Nations Conference on Housing and Sustainable Urban Development (Habitat III), which took place in September 2016 and we very much look forward to hosting many, many more events of all sizes in the future. We are also participating in important trade shows including IMEX Frankfurt, which we were at last week. BTN: Quito will also host Routes Americas next year, giving the city a regional platform to showcase its success in the aviation sector. What can you tell us about that? VS: We are extremely proud to be hosting Routes Americas 2018, the most important event in the aviation industry in the region. After an extensive selection process and competing amongst numerous cities around the globe, Quito was selected due to its strong connectivity to the world, extensive tourism and cultural offering, including being named a World Heritage Cultural Site by UNESCO, and its convenient geographical positioning. The city will host more than 800 members of the aviation industry and we look forward to showcasing everything Quito has to offer to the participants. BTN: Finally, Quito is once again in the running for the title of South America’s Leading Destination at the World Travel Awards in 2017. Having taken the title for the past four years, how are you working to defend the title? VS: Quito is unique to any other place on the globe being the city in the Middle of the World. Set at 2,050 meters above sea level, it is the capital closest to the sun. It is the only place where you can have one foot in the northern hemisphere and the other in the southern hemisphere. Quito enjoys a privileged geographic location that permits natural riches evident in its weather, for example 12 hours of continuous sun. Quito has always stood apart. In 1978 it was the first city to be designated First Cultural Heritage Site of Humanity by UNESCO. We are excited to be celebrating the 40t year anniversary of this designation in 2018. We have such a broad tourism offering that can satisfy the interest of all types of travellers. From the adventurous backpacker who seeks to discover new destinations to families who are looking for diversity and history, Quito can accommodate and fulfil the interest of every type of traveller. In addition to our pride of being the best preserved city in the region, we are also assuring that Quito remains innovative and continuously introduces new developments such as the Metro and the Convention Centre. We are always finding ways to improve the experience for both travellers and residents alike. Quito will defend the title of South America’s Leading Destination at the upcoming World Travel Awards Latin America Gala Ceremony. The event will be hosted by Hard Rock Hotel Riviera Maya, Mexico, on September 9th. To vote head over to the official website. As the first city to be named a World Heritage Cultural Site by UNESCO in 1978, Quito boasts numerous treasures spread throughout a diverse and alluring landscape. The city is a thriving destination that represents a unique combination of old and new. The capital city has much to offer including authentic culture and rich indigenous and Hispanic traditions evident at every corner through its exquisite gastronomy, art, museum, theatres, architecture, boutiques and more. Set at nearly 10,000 feet above sea level and boasting a rich ecosystem, Quito is surrounded by breath-taking scenes of the Andes Mountains and volcanoes, as well as cloud forests and lakes that are home to a variety of fauna, making it a playground for nature enthusiasts. For more information, visit the Quito Tourism website.